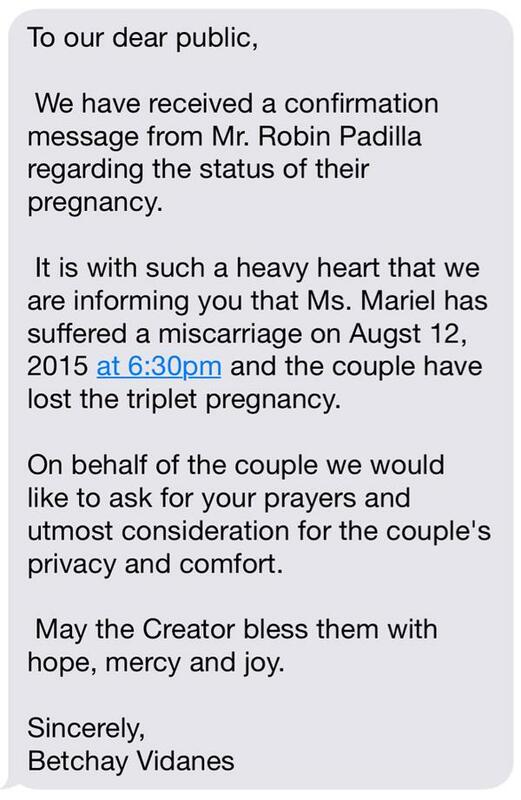 Sorry to hear about Mariel Rodriguez and Robin Padilla losing their babies from a miscarriage, just a week after Robin officially announced via Instagram that Mariel is pregnant with triplets. 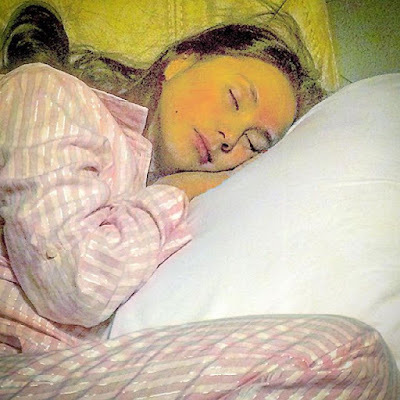 Then earlier this week, Robin posted this photo of wife Mariel sleeping on the day she was celebrating her 31st birthday, and in the caption, he said that she's having a difficult pregnancy. robinhoodpadilla: "Your past 30 years brought you life of happiness and adventure...,i pray to the Almighty Creator to continue blessing you with his mercy and compassion on this very critical stage of your ultimate dream of being a good mother. You are right, whatever is the size of the third sac, she needs our parenthood now more than when she comes out because right now she is fighting for her survival.... Happy birthday mom @marieltpadilla"
It was already the 2nd time that Mariel suffered a miscarriage, and the first one was just last March. 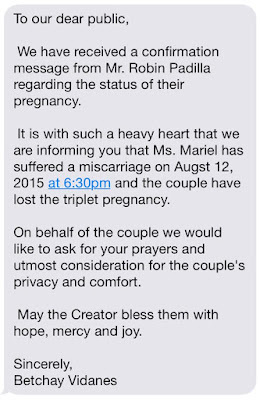 My prayers for Mr. and Mrs. Padilla, who are experiencing this devastating heartbreak.